Eastham Pendant/Necklace, Wine Charm & Keyring Fob. Highly polished resin-finish of the Eastham Lighthouse Logo. 100% cotton knit short-sleeve jersey with Eastham Lighthouse logo embroidered on the front left chest. 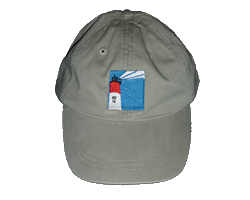 Eastham Cape Cod embroidered on the left sleeve. Show your Eastham Pride with an Eastham Lighthouse Logo Tee Shirt Full Color Silk Screened on the Left Chest & Full Back. Hanes BEEFY-T 100% Preshrunk Cotton. Double-Needle Stitching. Seamless Rib at Neck. Available in popular sizes. 100% Cotton Jacquard woven and hand finished blanket with fringe features Eastham landmarks of the Coast Guard Station, the Eastham Windmill, Nauset Lighthouse, Capt. Penniman House, the School House Museum, and the Salt Pond Visitor Center of the Cape Cod National Seashore. 68" x 92"